Our freestanding corner cupboards (C_34 series) is ideal for filling a corner with a beautiful piece that can be used for several different purposes. The storage capacity is absolutely immense. 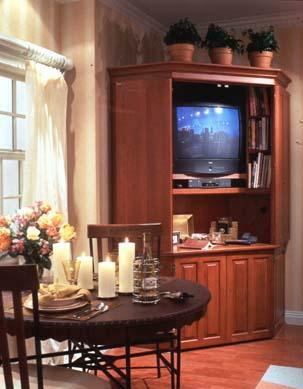 Often, the corner area can be a separator between two larger workstations such as a sink or range piece. Other designs call for a corner piece to become more of a focal point. 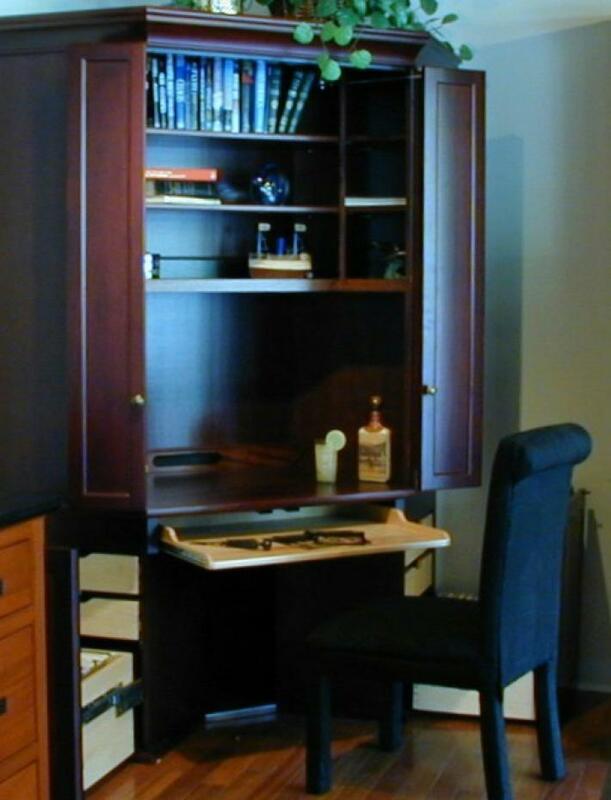 Corner Cupboards (C_34) are unfitted pieces that can be isolated by themselves or placed between two major workstations. Though the proportions of these workstations are designed to blend with the taller workstations, they are not the typical thin, display corner cupboards. 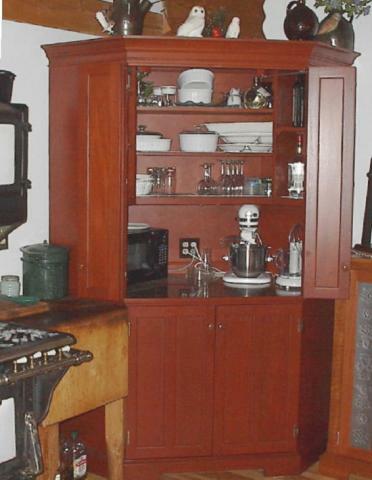 Available as storage cupboards or working pantries, china closets, computer desks or entertainment centers, these units have enormous storage and worktop capacities as well as versatile interior arrangements. The bi-fold doors, available in flat panel and metal panel styles only, occupy less space than swing doors when they are open. These doors are a good choice if other (11″ deep or less) shelving is to be located close to the side of one of these workstations. However, with the swing doors, many useful items can be mounted to the inside of the doors such as peg boards, tack boards or dry mark boards, calendars, photographs, small shelves etc. 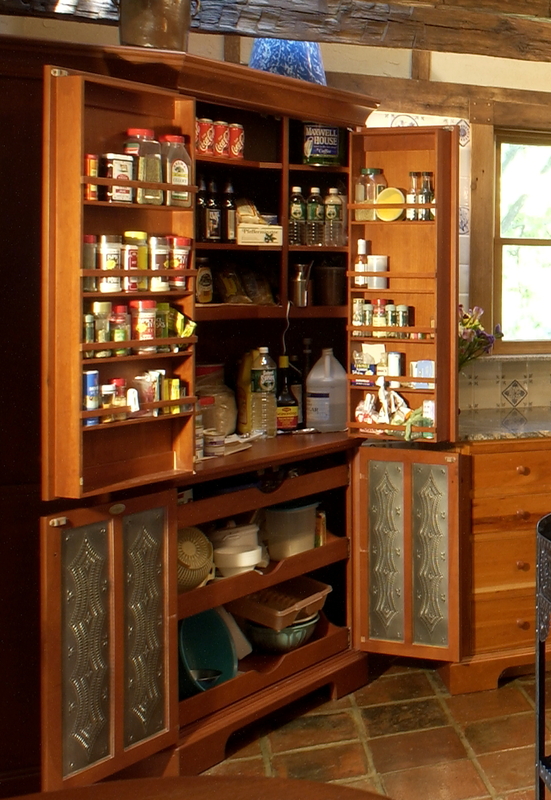 One can deep shelves can be mounted to the inside of the pantry’s’ swing doors providing easy reach storage. 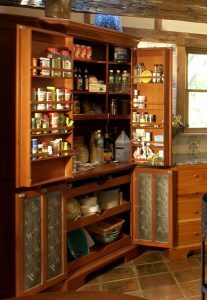 This CP34 Working Pantry cupboard features punched tin doors with spice racks attached to the back of each upper door. The side panels next to the lower roll-out trays can even be made to open to reveal extra storage shelving.